FOR ONE NIGHT DORIAN GRAY & STIMULATE IN ONE PLACE! Bowery Electric - 2 Floors ALL ROOMS! 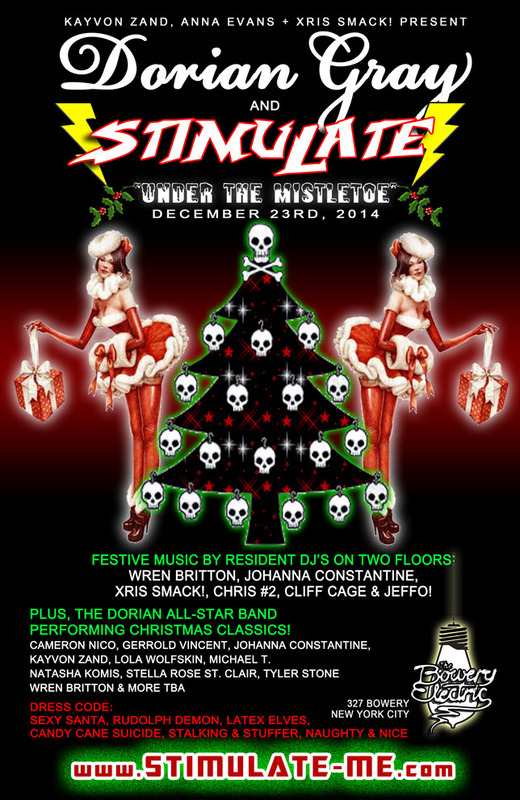 THE DORIAN GRAY ALL STAR BAND & GUESTS! HOSTED BY THE STIMULATE FAMILY! Blacklite Bonnie, Karla Editha, Megan Minya, Venus Pain, Chris Rejectt and many many more!